Within the last six months four of my nieces have given birth to new babies. So to challenge myself with my newly acquired knitting skills I decided to make each of them a baby sweater. I finished them last week and now they are ready to be mailed to my sister in Reno who has graciously offered to get them to my nieces for me. 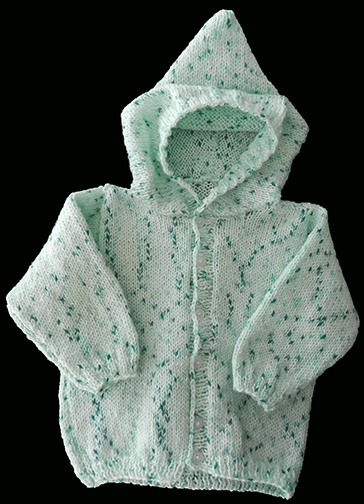 For Zedekiah, the only boy in this recent batch of greats, I knitted a hooded sweater with a cute yarn I found at the Saturday open-air market where we do our vegetable shopping. For Natalie, a cute little pattern that was quite a challenge to my beginner skills. It used two colors at the same time for the top. 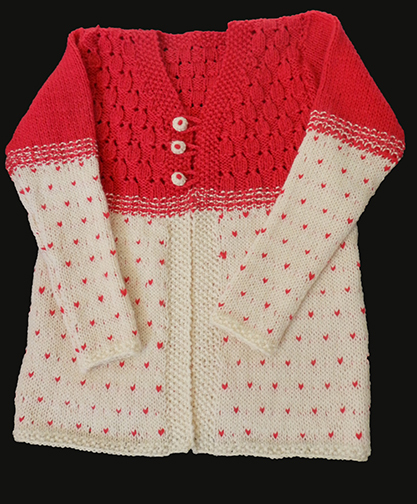 The yarn for this sweater was purchased from the same vendor at the open-air market. For Devorah, a vintage pattern from the 1940s. Less of a challenge to my skills, but definitely a challenge to my memory. The lacy bottom part was on a five row alternating pattern, with each of the rows having its own unique series of stitches. 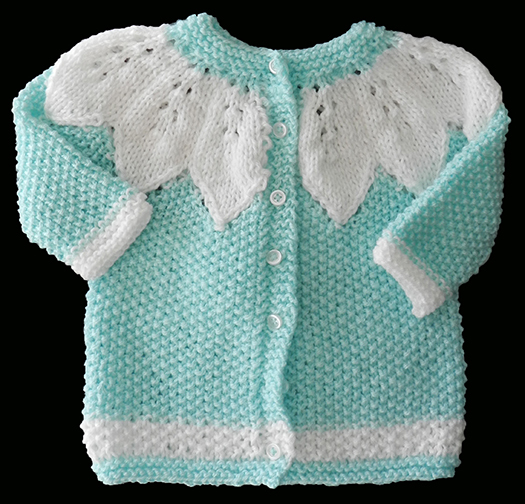 The yarn for this pattern came from a quaint little shop in the historic district of town. For Kae’yona, a multicolored yarn that I purchased while we were still in Carcassonne. I fell in love with the colors and purchased it before she was born, hoping that my niece would have a little girl so that I could use this particular yarn. My niece was kind enough to comply with my wish! 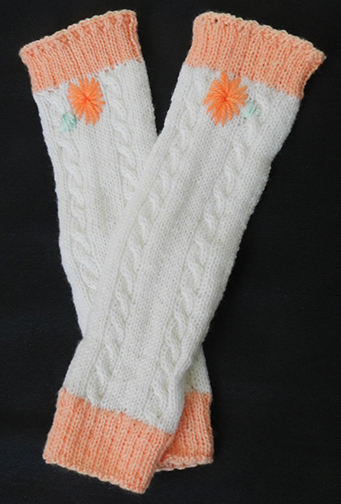 For my granddaughter, Lily, a pair of leg warmers in her favorite color. These will be helpful whenever she’s in the hospital to add a splash of color while still giving everyone access to the rest of her! I found this yarn in Collioure at their open-air market. 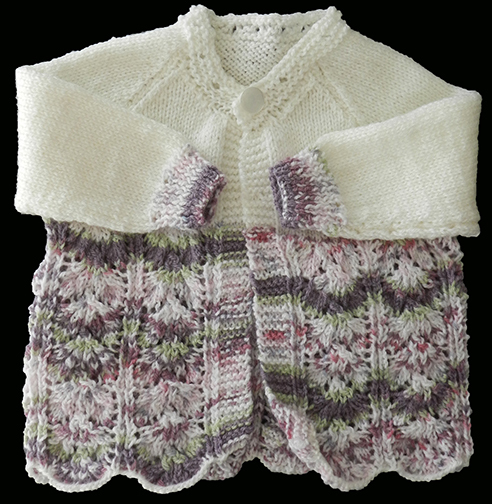 For my granddaughter, Lorelei, an adorable sweater pattern from Drops Designs. This was a particularly challenging piece as I haven’t done a lot of two color work where the colors are used together in the same row. The yarn came from the same vendor in Collioure, hoping to visit him again soon. I love the way it turned out, I even crocheted the buttons for this one! 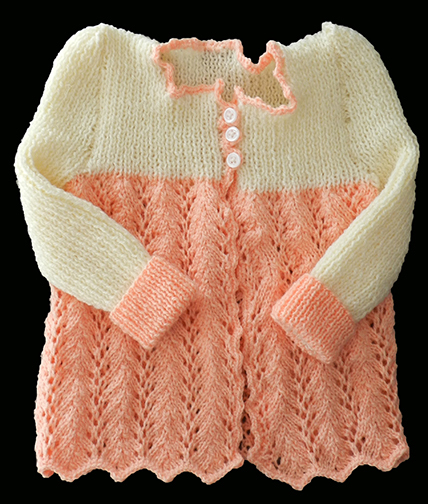 Now all that’s left is to get these in the mail and start looking for more adorable little girl and boy sweater patterns as I still have three more grandkids to knit for! Avery, Izzy, and Carter will be getting theirs over the summer, just in time for cooler weather! Laura, you’re too kind! Grazie! Thanks Pat! I’ve really enjoyed learning and creating these little sweaters! What a great job…..you are becoming quite professional…..